As cereal suppliers we have noted an increasingly demand for African Traditional Foods as the preferred choice of healthy eating. Many household are opting to return to traditional breakfast meals (uji) and replacing maize with various other alternative as indicated below. 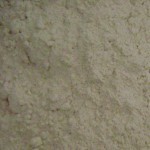 Maize Meal (Ugali) flour Grade 1 (Sifted) mostly used for ugali (cornbread). Retail Ksh45($0.45)/kg; Wholesale Ksh43($0.43)/kg; 90Kg Bag Ksh3,870($38.70); Unsifted (Grade 2/ Whole Milled Maize), is a popular healthy option for making ugali, is selling at Retail Ksh45($0.45)/kg; Wholesale Ksh43($0.43)/kg; 90Kg Bag Ksh3,870($38.70). The Kenya Ministry of Agriculture does not report this commodity’s market prices. RATIN reports retail prices per kg of Uganda, Busia, Ksh20($0.19)/kg, Kasese, Ksh10($0.09)/kg, Burundi, Bujumbura, Ksh37($0.36), South Sudan, Juba, Ksh59($0.59). Baridii (Kisra) flour is extra fine maize meal used to make Uji (porridge) and Kisra (chapatti, pancake) by Sudanese. Baridii flour cannot be used to make Ugali. Baridii is selling at Retail Ksh78($0.78)/kg; WholesaleKsh68($0.68)/kg; 80Kg Bag Ksh5,440($54.40);The Kenya Ministry of Agriculture does not report this commodity’s market prices. 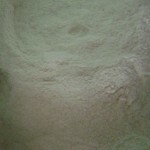 Pure Wimbi (Millet, Ulezi TZ) Flour is ground millet grain. Mostly used for breakfast porridge and highly recommended as a maize substitute for ugali for diabetic customers. Retail Ksh123($1.23)/kg; *Wholesale Ksh98($0.98)/kg; 90Kg Bag Ksh8,820($88.20); The Kenya Ministry of Agriculture does not report this commodity’s market prices. 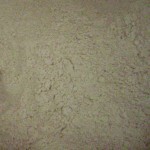 Wheat Flour (Grade 2), (Ngano/Attah/ Brown Chapati flour) is high fiber wheat flour. It is popular for chapatti and ugali especially with West Africans and people from North Rift Valley. Retail Ksh73($0.73)/kg; Wholesale Ksh68($0.68)/kg; 90Kg Bag Ksh6,120($61.20) The Kenya Ministry of Agriculture does not report this commodity’s market prices. Muhogo (Cassava) Flour is ground cassava very popular with Congo, Rwanda, and Zaire nationalities currently residing in Kenya. Retail Ksh53($0.53)/kg; *Wholesale Ksh48($0.48)/kg; 90Kg Bag Ksh4,320($43.20); The Kenya Ministry of Agriculture does not report this commodity’s market prices. 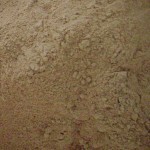 Mtama (Sorghum) Flour mostly used for breakfast porridge. Red Sorghum Retail Ksh57($0.57)/kg; *Wholesale Ksh48($48)/kg; 90Kg Bag Ksh4,320($43.20); The Kenya Ministry of Agriculture does not report this commodity’s market prices. 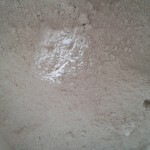 Wimbi Mix (Millet, Sorghum, Cassava) flour, is mostly popular with primary and secondary schools as it provides a healthier and cheaper breakfast meal. Retail Ksh51($0.51)/kg *Wholesale Ksh44($0.44)/kg; 90Kg Bag Ksh3,970($39.70); The Kenya Ministry of Agriculture does not report this commodity’s market prices. Sour (Lemon, Millet, Sorghum, Cassava) flour mixed with acetic acid for a sour taste, is mostly popular with primary and secondary schools as it provides a healthier and cheaper porridge Other names include fermented flour, unga imechacha, Kuchacha, kuganda etc. Retail Ksh57($0.57)/kg; *Wholesale Ksh46($0.46)/kg; 90Kg Bag Ksh4,170($41.70); The Kenya Ministry of Agriculture does not report this commodity’s market prices. 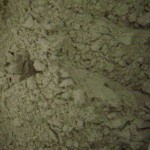 Mawele (Burush Millet), Uwele TZ) flour a light green flour also used for making porridge, and popularly used as a fermentation agent in making porride (uji). *Other names include fermented flour, unga yakuchacha or yakugandica etc. Retail Ksh103($1.03)/kg; Wholesale Ksh88($0.88)/kg; 90Kg Bag Ksh7,920($79.20) The Kenya Ministry of Agriculture does not report this commodity’s market prices. 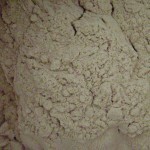 Omena (Sardine fish milled with sorghum) flour is mostly popular in porridge especially as a rich source of calcium for children. *Other names include fermented flour, unga yasamaki. Retail Ksh101($1.01)/kg; Wholesale Ksh88($0.88)/kg; 90Kg Bag Ksh7,920($79.20); The Kenya Ministry of Agriculture does not report this commodity’s market prices. 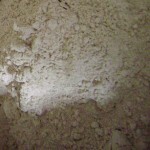 Soya flour comes highly recommended especially for porridge. Soya is very high in protein, and it’s recommended when used in making uji, that it porridge be cooked for an additional 20mins, due to the high protein content in soya. Retail Ksh103($1.03)/kg; *Wholesale Ksh93($0.93)/kg; 90Kg Bag Ksh8,370($83.70);The Kenya Ministry of Agriculture does not report this commodity’s market prices. 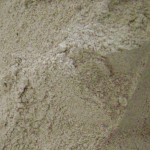 Terere (Amaranth) flour comes highly recommended especially for porridge. Retail Ksh163($1.63)/kg; *Wholesale Ksh130($1.30)/kg; 90Kg Bag Ksh11,970($119.70); The Kenya Ministry of Agriculture does not report this commodity’s market prices. 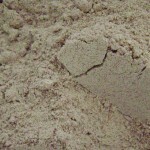 Thafai, Thabai, (Stinging Nettle) flour, comes highly recommended as a alternative to tea leaves. Nutritional benefits include reduced allergies, antioxidants, anti flammatory, anti-microbial, and anti cancer cell activities. Domestic consumption in addition to tea includes Mokimo (mashed potatoes and maize meal). Retail Ksh183($1.83/kg; *Wholesale Ksh183($1.83)/kg; 90Kg Bag Ksh16,470($164.70); The Kenya Ministry of Agriculture does not report this commodity’s market prices. Nigerian Garri/Gari,made from freshly selected cassava tubers. Cassava tubers are uprooted and peeled, washed and grated to produce a mash., then mash placed in porous bags , allowed to ferment then sieved (or sifted) and roasted by heating in a bowl. 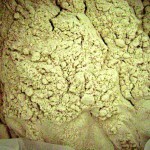 The resulting dry granular is pounded or grounded to make fine flour. Retail Ksh225($2.25)/kg;. 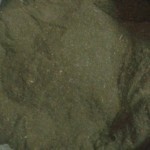 *Wholesale price offered for purchase of 20Kgs and more.